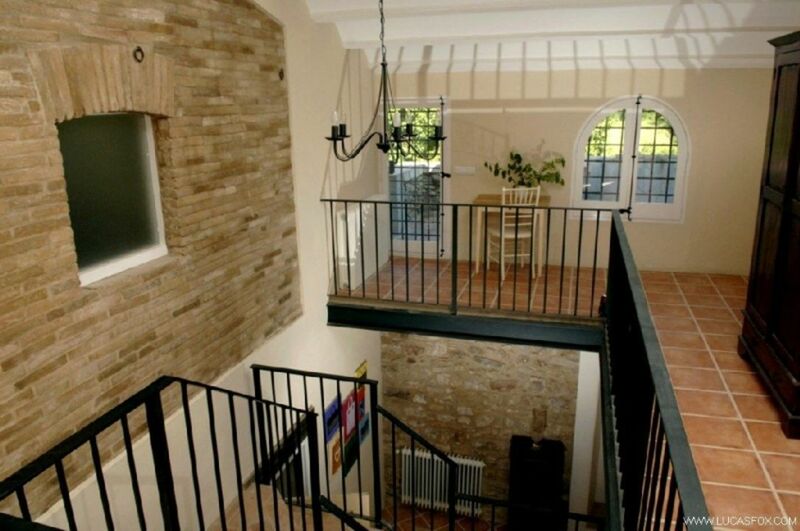 This restored masia is located in a 10-minutes (8 km) from the centre of Girona city. 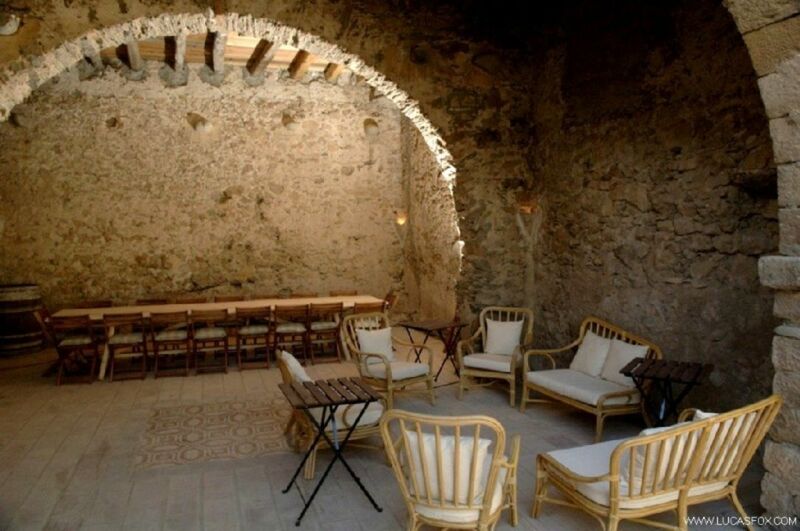 The property, parts of which date from the 17th Century, offers an impressive 1000 m2 of beautifully restored living space with a approximately 1500 m2 still to be restored. 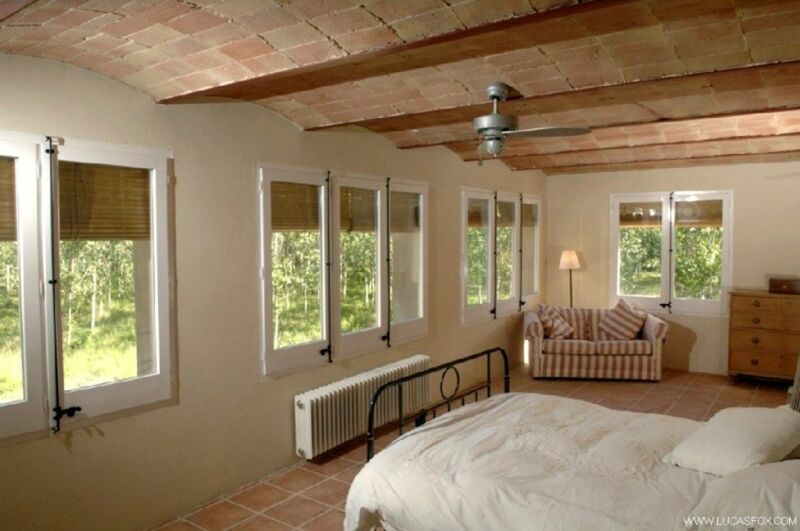 The property boasts a total of 9 bedrooms and 6 bathrooms. 4.5 hectares of private land, part of which forms a large lawn garden with swimming pool, part of which is set to pasture and the rest is woodland. 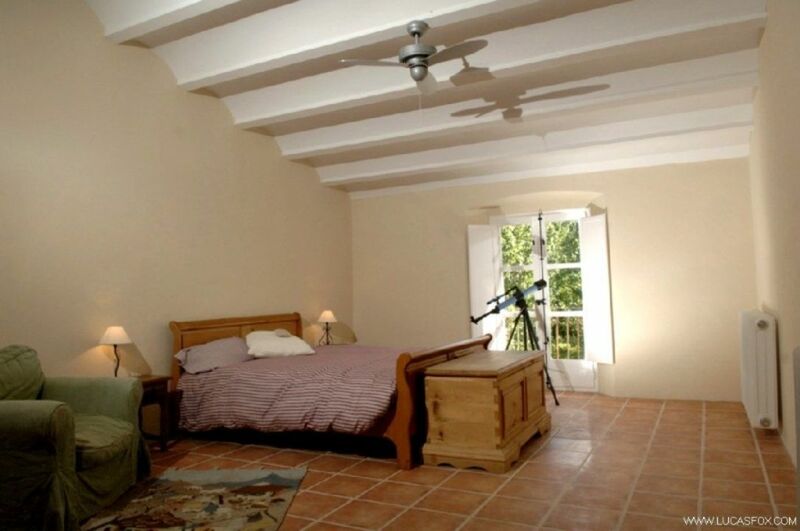 The house is built across three levels and a key feature of the property is the impressive size of the living areas, particularly the bedrooms. 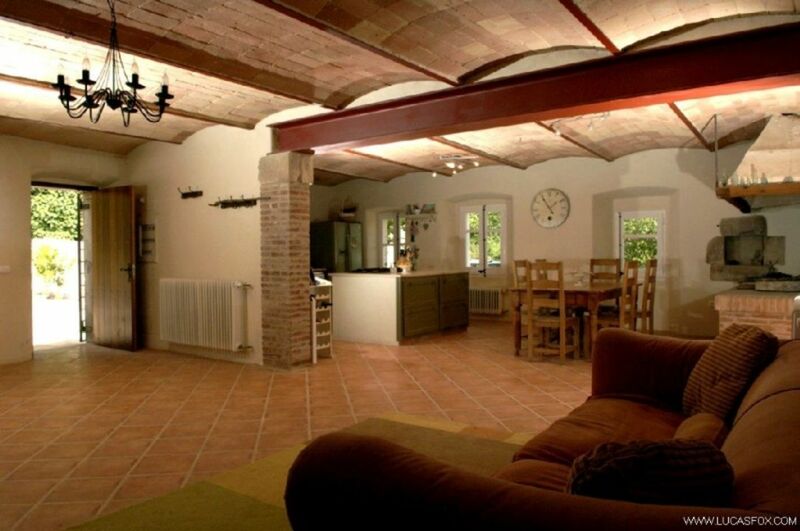 The restoration works have fully respected the original architecture of the property and the house still boasts a host of original features, including handmade terracotta floor tiles, beautiful Catalan vaulted ceilings, the original bread oven and lovely stone arches. 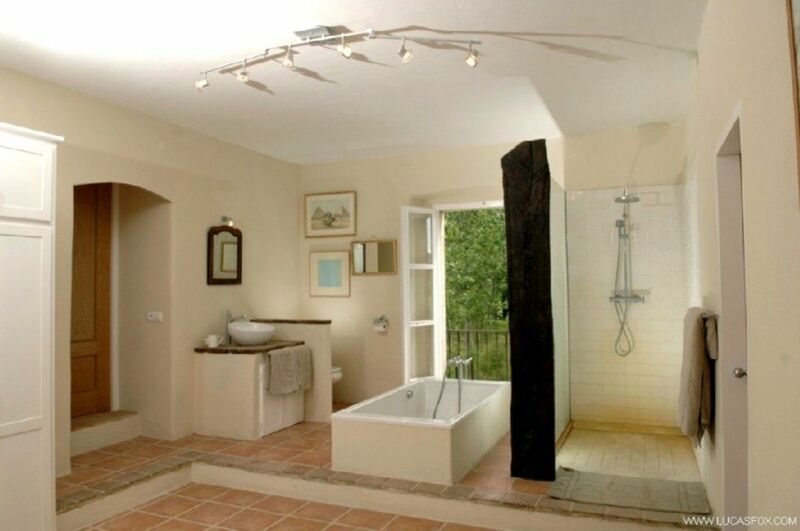 The property is on mains electricity and the water is provided by 2 private wells. 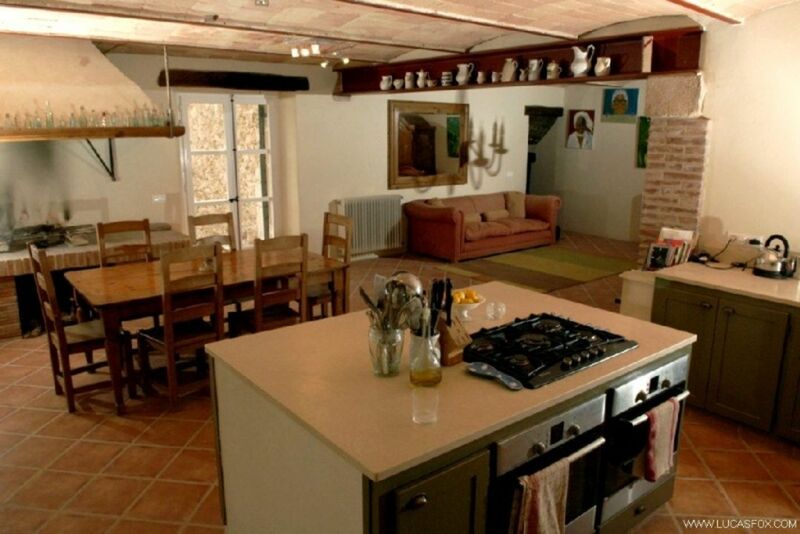 The house has central heating throughout. The house would make a wonderful family home and could easily be split into two of three independent dwellings. 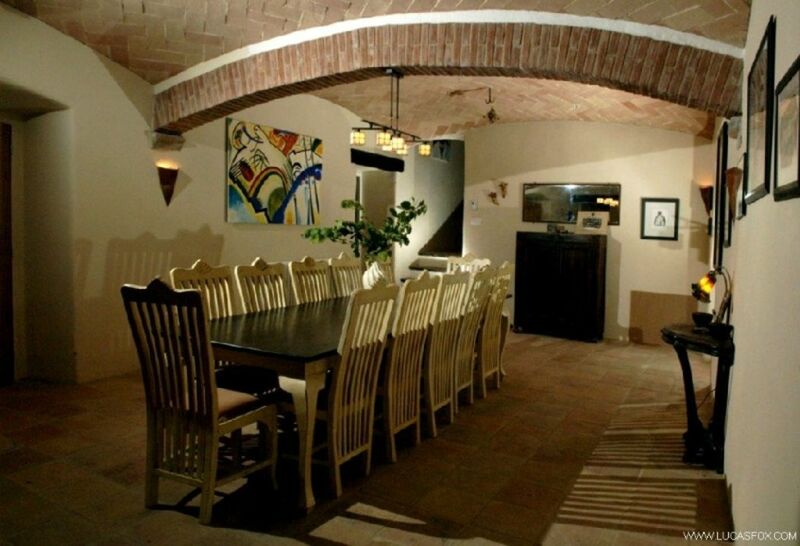 The fact that there are still around 1500m2 to be restored also makes it an interesting investment opportunity. The property comprises the following: Ground floor: Large entrance hall / reception area; fully fitted kitchen with open fireplace, breakfast dining area and access to two outdoor terraces; dining room (seating for 12) with vaulted ceilings and original olive press; living room with striking double height ceiling and fireplace; reading room area housing the original bread oven; utility room; cloakroom with shower; large en-suite bedroom; master-bedroom with beautiful en-suite bathroom (with large walk-in shower and freestanding bath) and adjoining children´s bedroom. First floor: Large en-suite double bedroom; Two spacious adjoining bedrooms (capacity for 5-6 beds) with en-suite bathroom (including double shower units); Three further double bedrooms; Large family bathroom. Lower ground floor: To be restored. 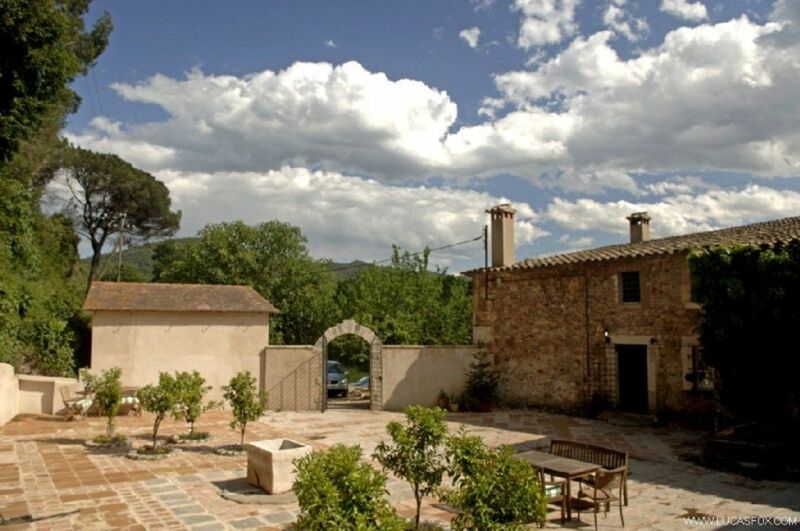 Exterior: Large lawn garden with swimming pool (totally fenced); huge walled courtyard with two-storey barn to be restored (the ground floor currently provides a lovely covered dining and BBQ area); approximately 4 additional hectares of land. 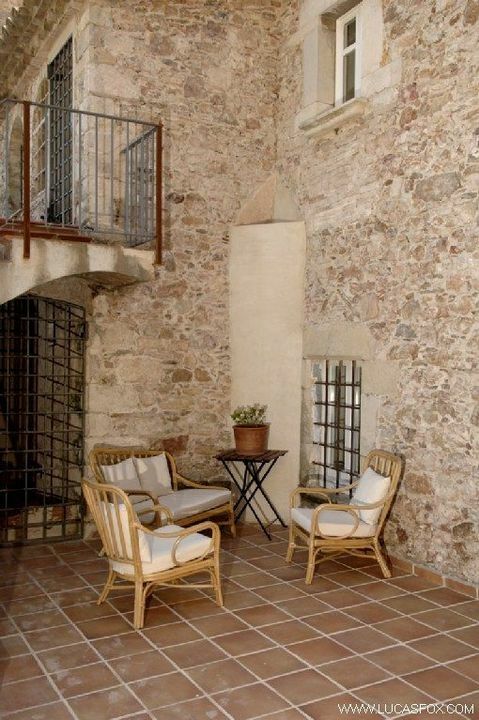 This is one of the most beautifully restored properties that we have seen in the Girona area. The restoration works took five years to complete and the attention to detail is exceptional.